Mice who get worried, mice who are best friends, mice who are brave… Children’s book author and illustrator Kevin Henkes has nine adorable mouse characters with distinct personalities that he writes and paints into picture books about growing up. Henkes is expert at stepping into a child’s world and telling stories about life changing moments. You can read about what happens when Owen wants to take his fuzzy yellow blanket to school. Read about how Penny finally shares a song she learned with her family. Find out why Chrysanthemum’s classmates think her name is funny and what happens in school. There are serious issues for young children and Henkes writes about many of them. Mouse characters are just one of many types of books Henkes has created. 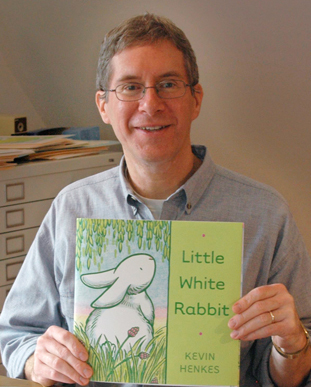 His most recently published are picture books for very young children, such as “Little White Rabbit” and Caldecott winner “Kitten’s First Full Moon.” With these he distills the text down to the golden nugget of an idea and keeps the story very simplistic. Henkes says he has to be direct with the illustrations and he writes and rewrite until the rhythm of the text is just right. Henkes also writes novels for young adults. He describes the process of writing longer books as using words to make shadow, light, and color instead of his paint. Titles include “Junonia,” “Bird Lake Moon,” and “Olive’s Ocean.” In his novels he has one partial page of an illustration per chapter. Own some children’s books, but also borrow from the library or pick up used books at yard sales or a Bright Red Bookshelf (our children’s book re-use program). Here are additional ideas about creating a Reading Nook in your house. “21 Blogs with Creative Ideas for Making a Reading Nook for Your Kids” Have fun! Bring books to life for your child by setting up experiences that connect a story you have read to the real world. By extending the book to include the sights, sounds, textures, smells, and tastes of real life, the written word and flat pictures in a book become a multidimensional and memorable experience. 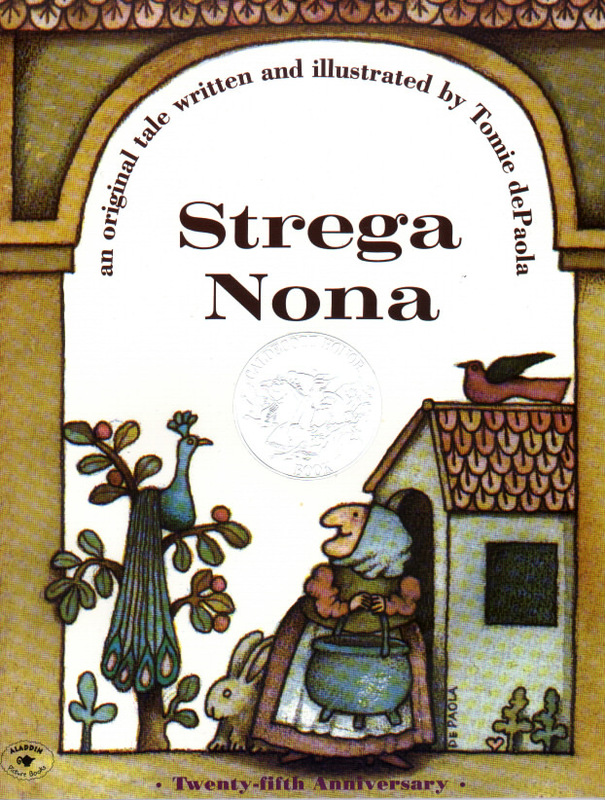 You could read a book about food, such as “Strega Nona” by Tomie dePaola or “Blueberries for Sal” by Robert McClosky and then eat some spaghetti or blueberries. Read the book while you sample the food and the story will become an event that your child won’t forget. “Zin! Zin! Zin! A Violin” by Lloyd Moss, illustrated by Marjorie Priceman, introduces ten instruments in an orchestra, in rhyming text with illustrations that curve with the rhythm of the music. After reading this book you could find a free or low cost concert in your community or school that your child may enjoy. Make sure to point out the instruments that you have read about and listen to how each sounds. Read “The Saturday Escape” by Daniel Mahoney and then visit your local library. There may be a story hour for you and your child to attend. And make sure to get a library card for each of your children so they can start the habit of checking out books they choose themselves. After reading “Kevin and His Dad” or “Jonathon and His Mommy” both by Irene Smalls and illustrated by Michael Hays, your child may be more willing to help wash some dishes or do other chores around the house. Read “The Salamander Room” by Ithaca author Anne Mazer, illustrated by Steve Johnson and Lou Fancher, then visit your local nature center. How is the habitat of a salamander different from a rabbit or a bird or a frog? When you read “I Spy, an Alphabet in Art” devised and selected by Lucy Micklethwait, you may get ideas for playing your own “I Spy” game. Or head up to the H.F. Johnson Museum of Art at Cornell University and ask at the front desk for the “I Spy” game they have made for children visiting the museum. It’s free fun!